So I f’d up. 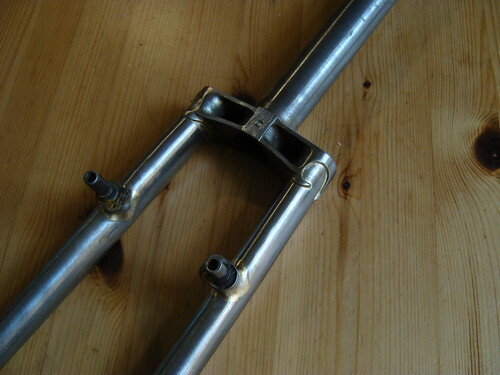 Was building a fork that should have been 1-1/8″ but built it 1″ by mistake. So now it needs a new home. It’s not drilled for a center/side-pull but it can be. I have the technology. Can’t remember the atc or the offset but if you’re innerested, drop me an email and I’ll dig out the numbers. Axle to crown 385mm, offset 52mm. Â£130 + p&p including any paint.